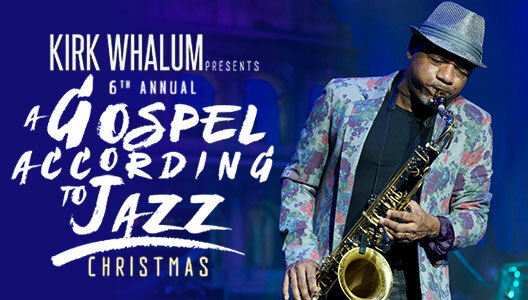 Whalum has recorded a series of well received solo albums and film soundtracks, with music ranging from pop to R&B to smooth jazz. Kirk’s musical accomplishments have brought him a total of 12 Grammy nominations. He won his first Grammy award in 2011 for Best Gospel Song (“It’s What I Do,” featuring Lalah Hathaway) alongside lifelong friend and writer Jerry Peters. 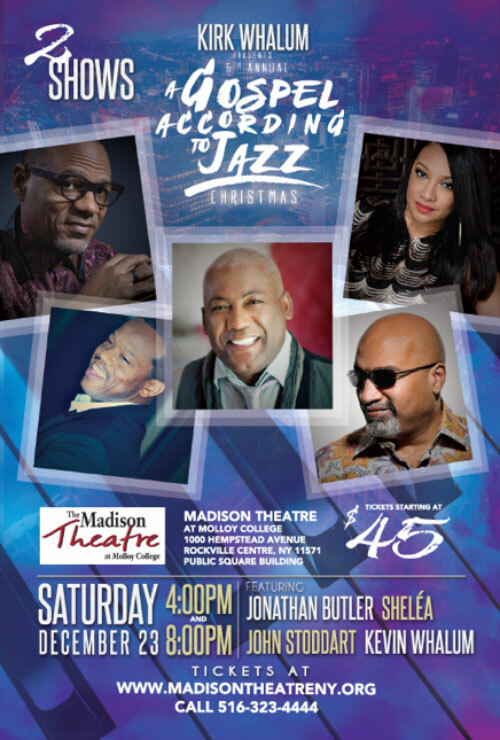 Jonathan Butler His music is often classified as R&B, jazz fusion, or worship music. Born and raised in Athlone, Cape Town, South Africa during Apartheid, Butler started singing and playing acoustic guitar as a child. Racial segregation and poverty during Apartheid has been the subject of many of his records. His first single was the first by a black artist played by white radio stations in the racially segregated South Africa and earned a Sarie Award, South Africa’s equivalent to the Grammy Awards. He began touring at the age of seven when he joined a traveling stage show, and was later signed up to perform on a string of hit recordings, turning him into a local teen idol. In 1975, his cover of “Please Stay” by The Drifters reached number 2 in South Africa. The same year, his cover of “I Love How You Love Me” by The Paris Sisters reached number 4. “I’ll Be Home” reached number 16 in 1976. Sheléa‘s musical mastery makes her one of the most exhilarating up-and-coming artists today. While donning multiple hats of vocalist, songwriter, pianist, arranger, and producer, Sheléa evokes the sultry energy of Whitney Houston and the piano chops and writing prowess of Alicia Keys. Sheléa’s debut album, Love Fell On Me, is a return to true artistry, blending traditional pop, jazz, R&B, and soul and marking an exciting revival of singing and songwriting in a music scene that is laced with auto-tune and beat-driven numbers that read more like chants than songs. When Stevie Wonder was asked to sing for the President and Michelle Obama at the White House in May 2012, honoring composers Burt Bacharach and Hal David with the Gershwin Prize, he felt it was a perfect opportunity to showcase Sheléa’s ingenuity. He suggested she be added to the program. With that, Sheléa went on to bring down the house with her rendition of “Anyone Who Had a Heart” featuring Arturo Sandoval on trumpet. Sheléa’s debut album, Love Fell On Me, evokes a simpler time of love through innovative storytelling and breathtaking melodies interjected with up-tempo driving grooves that display Sheléa’s edgy side. You can hear Sheléa’s classic influences throughout her music, but she is not a throwback. On the contrary, she is pushing the musical envelope forward and bringing us back to true artistry. Shélea’s first single/video, “Seeing You,” exposed the world to her classic romantic side. Sheléa’s second single released in February 2013, “Love The Way You Love Me,” evokes shades of Whitney Houston. “Love The Way You Love Me” continues to get massive airplay on both national and international radio stations. John Stoddart is an American R&B/Gospel singer-songwriter who grew up singing in church and began formal vocal training at age 13. In 1993, he earned a Bachelor of Arts in Piano and Voice from Washington Adventist University in Takoma Park, Maryland. Stoddart has worked as a songwriter on many other artists’ albums and also on production and backing vocal levels. Stoddart sang backing vocals for “I Surrender” on Celine Dion‘s 2002 album A New Day Has Come.